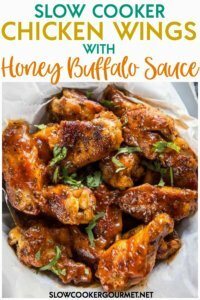 Whether you are hosting or headed to a get-together or just want a tasty snack to enjoy at home, these Slow Cooker Chicken Wings with Honey Buffalo Sauce will be perfect! They are easy, tasty and fun to make! Let’s talk flavor vs spice. Most of the time when you think chicken wings, it’s likely all about the spice level. 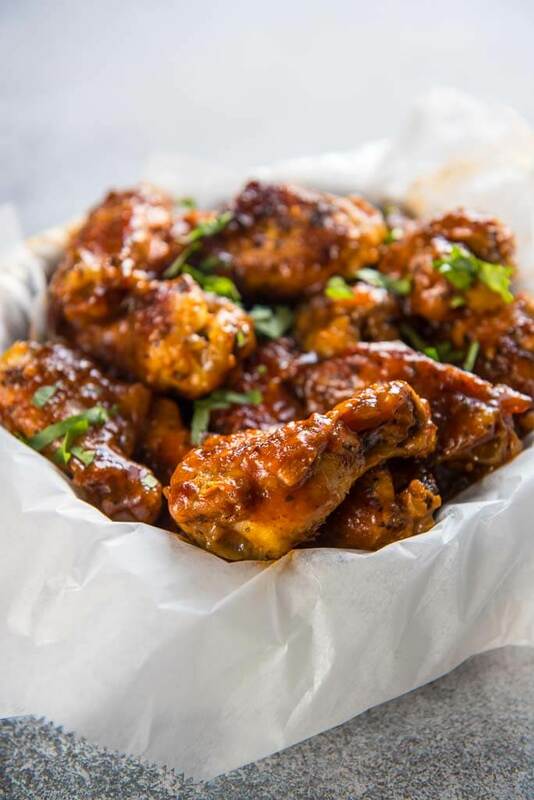 Most die-hard chicken wing fans pride themselves on taking the heat to a new level. 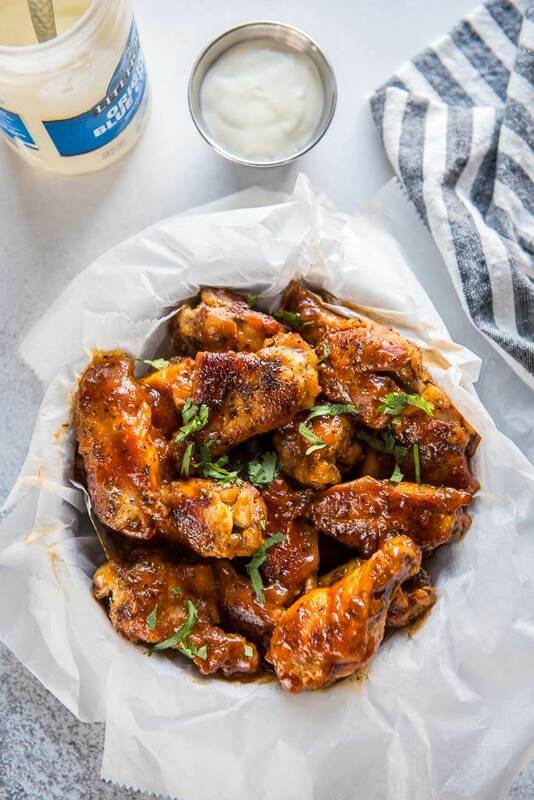 But, if you are serving these at a party or you just want a delicious and simple snack for watching the game or hanging out on the patio, then these Slow Cooker Chicken Wings with Honey Buffalo Sauce will be your new best friend. Packed with flavor, tons of sauce and very mild spice, these are perfect for serving to just about anyone! Can you make chicken wings in a slow cooker? If don’t have it and you can swing it, get a multi-cooker! This will allow you to make everything in one pot, super easy! Then thicken the sauce and serve! 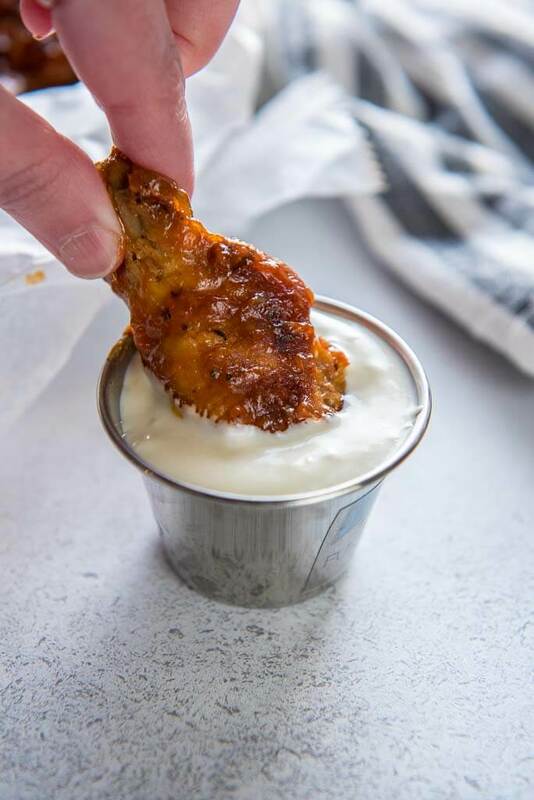 So, are you in camp blue cheese or camp ranch for serving with wings? I like both, but my vote is going to have to go with blue cheese! I just love that tangy flavor. 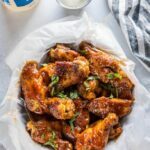 If you love buffalo wings, but want something more substantial for dinner, try my buffalo chicken drumsticks. Or go wild and crazy with my buffalo chicken chili or pasta! !